Queanbeyan’s claim to fame is its role as Canberra’s big brother. Perched on the Queanbeyan River in country NSW, this lovely city has a more relaxed outlook than the nation’s capital has today – and it’s just 25km from the Canberra CBD. 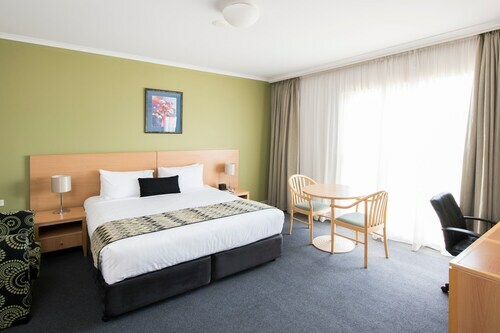 Whether you’re looking for a country getaway or a hotel away from the city hustle, check out our range of Queanbeyan accommodation. A whopping 175 years old, Queanbeyan was the heart of the region up until the 1950s when nearby upcoming Canberra took the reins. Officially declared a township in 1838, some of Queanbeyan’s original buildings are still standing today. Named after the traditional landowners, an Aboriginal tribe called Quinbean, this native word translates to mean ‘clear waters’. From its humble colonial beginnings as a squatter’s run Queanbeyan has transformed into a thriving city of over 40,000 people. Today, many people take advantage of the fact they can live in NSW and still work in the capital. Housed in the old police sergeant’s residence, the Queanbeyan Museum is a great place to get to know the city and its place in Australian history. For an artistic take on the significance of the area, head to the Queanbeyan Art Gallery, which runs out of a delightful 19th century brick cottage gracing the banks of the Queanbeyan River. For more outdoor sightseeing, don’t miss the world class gardens and a fantastic waterfall at Tulip Top Gardens, where you can peer out over thousands of blossom trees and tulips from the 70-metre high lookout. If it’s sea views you’re after, then jump in the car and drive to the Googong Foreshore area, perfect for fishing, bushwalking, canoeing and cosy picnics. This is also home to an intriguing limestone formation known as the London Bridge Arch. When the belly rumbles, you’ll be surprised at the number of options available in this small city. From typical fast food takeaways to restaurants, cafes and hearty pub fare, you’ll also find Chinese, Malaysian, Thai, Turkish and Indian cuisines thrown into the mix. As a gateway city, Queanbeyan has a handful of diverse experiences within easy reach. Take a day trip to the Snowy Mountains for some skiing time and fun in the snow, or flee to the many sunny beaches of the South Coast. For more greenery, explore the nearby nature reserves and National Parks on bike or foot, or wind your way through the pretty towns and villages of the Southern Tablelands. With a number of great scenic drives in the area, there’s something to please every kind of traveller! And if you love your wine, then yes, there are also some cellar doors to knock down. Getting around is easiest with a car, but local rental cars are also on hand to make life easier. Don’t want to drive? Don’t fret! You can also get here by train, or even by taxi from the Canberra city centre or airport. So, looking for a country stay that’s got tonnes going for it and all the bonuses of the city? 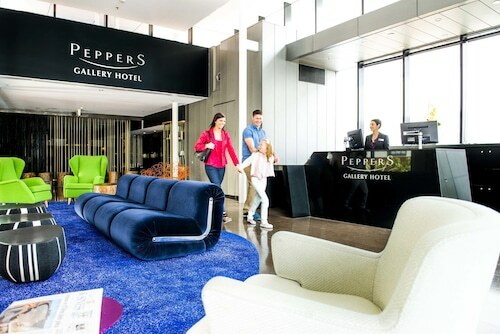 Book your Queanbeyan hotel and flight to Canberra with us today! How Much is a Hotel Room in Queanbeyan? 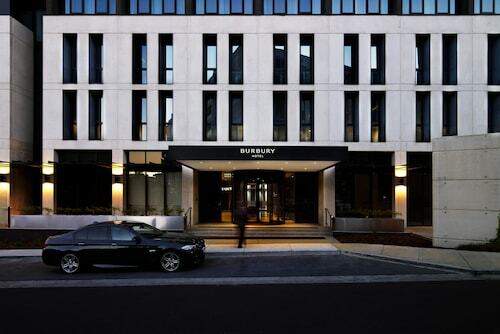 Hotels in Queanbeyan start at AU$94 per night. Prices and availability subject to change. Additional terms may apply.